What are the most important moments of your life? For most, it’s rarely a big promotion or a sports championship season. Instead, it’s quality family time that is most often cherished. Nothing captures these moments better than family photos. If you’re looking for a photographer to capture those memories, make sure you ask prospective photographers these eight questions. 1. Can I see some of your recent work? This is the most common question asked, and for good reason. But how do you distinguish between an amateur and a professional photographer? An amateur may be able to take a few great shots every now and then, but professionals know how to consistently create great results. Ask to view an entire session’s images or a compilation from different sessions to get a sense of depth of the photographer’s work. Based on what you see, if there’s only one or two shots you’d consider framing, then you’re probably not dealing with the right photographer for your family. 2. Are you a PPA (Professional Photographers of America) photographer? You want to work with the best, and PPA photographers do more than just snap pictures. 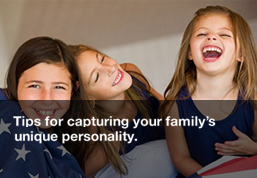 They have the technical expertise and artistry to get that one shot – that one look – that captures your family’s unique personality. PPA photographers also abide by a strict code of ethics and work constantly to create beautiful images that will meet your expectations. 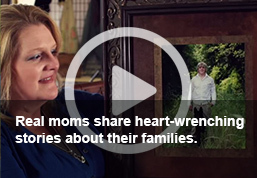 Watch this video to see how PPA photographers make a difference in capturing families’ unique personalities. 3. Do you specialize in any one type of photography? 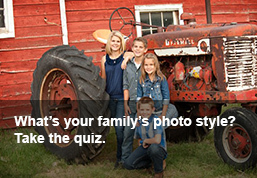 What’s your photographic style? Photographers often specialize in one genre over another. If they mention solely working with family portraits, then you can rest assured that their passions are aligned with your needs. You may also want to ask why they chose that particular area to better understand if/how they will be able to connect with your family. A photographer’s style is reflected in their portfolio, so asking them to produce a radically different style is a recipe for disaster. You’re counting on their knowledge of composition, lighting, posing and more to create images that fit your vision. 4. What does your fee include? You’ll want to understand what you’re getting for your money: how much time, how many images, album types, the format for delivering proofs, what’s included in your package, etc. Pros will always include these details and more in your contract. PPA photographers’ code of ethics should also give you peace of mind, but always, always read the contract and don’t be afraid to ask questions about the fine print and the contract itself. 5. How should I prepare my family before the session? 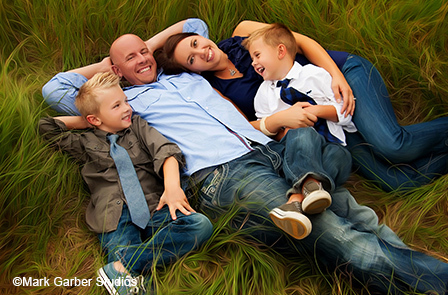 Pros will give you tips so your family can feel comfortable and have fun while being photographed. They might even ask for things you would not have thought. PPA photographers will also be able to answer questions such as: What colors and styles of clothing are best to wear? Should you bring a change of clothes? How do you handle a fussy child or plan for nap times? Trust them: they have their timing down and know what works. Photographers’ websites are a great place to view their portfolios, read client testimonials and get a better sense of their personality. Of course, like a resume, websites often put “their best foot forward,” so be sure to dig a little deeper. Look at their social media pages and read customer reviews, as these can be very telling. Find a PPA photographer near you at FindAPhotographer.com. 7. Can you take a picture like this one? Find pictures similar to ones you would like to display on your mantel and show them to the photographer. This will help them understand the style and genre you want, and they will be able to determine if you are a good match. Real pros will always refer you to someone they feel will better accomplish your vision if they are not the right fit. PPA photographers should be able to explain why and how they can or cannot create the same effects. So go ahead and ask if they are capable of taking the same kind of picture; do not settle for a simple “yes”. 8. How will I obtain my photos and when can I expect them? Professional photographers have a reliable system for delivering photos to you in a timely manner. This may include a private, online portal where your photos are stored, cloud sharing, uploading to social media sites and may even offer an app for that. However, your photographer should accommodate your needs – so state your preference upfront to avoid any false expectations!